Flying Advanced rc airplanes is very exciting and challenging for many pilots. These airplanes go beyond highwing trainers and park flyers, for the ultimate in flying excitement. Pattern aircraft will be described in this article. How are these airplanes defined? Are they better than other aircraft? Are they faster flying aircraft? 1.How are these airplanes defined? Pattern airplanes are designed for a wide variety of sky aerobatics. They process a small amount of self correcting characteristics unlike highwing trainers. 2.Are they better than other aircraft? No, pattern aircraft are not really better than other aircraft, but they process different design features. The fuselage is slightly longer than regular sport models, thus allowing a greater range of aerobatics compared to scale rc airplanes. The wings are fully symmetrical. 3.Are they faster flying aircraft? Yes, many pattern airplanes fly very fast, they are supposed to. That's where the fun lies. 4.Who are pattern aircraft for? 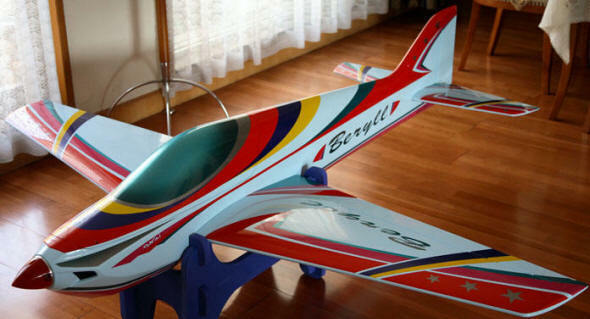 They are not beginner rc airplanes. Pilots that have a high level of flying experience and have flown various aircraft. Anyone can learn to fly pattern airplanes, but do not purchase one as your very first aircraft. For more information about pattern airplanes go here pattern airplane models. This article described pattern aircraft, if they do not meet your needs, then there are many other up scale aircraft to choose from. radio control warbirds, twin engine, giant scale and high powered jets as well many other models.